A Keynsham butcher says he has noticed a 10 per cent rise in the number of customers since the horse meat scandal hit the headlines. 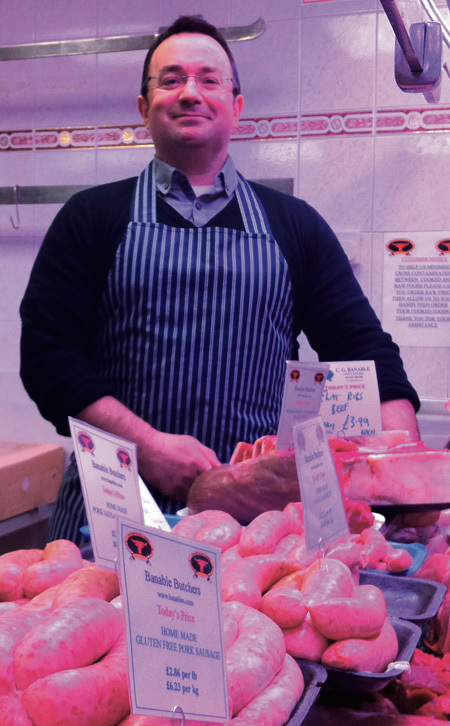 Chris Banable, owner of Banable’s butchers, has been trading in the town for 20 years after taking on the business when he was just 19. The discovery of horse meat in some supermarket beef products seems to have shaken consumer confidence, with many independent butchers reporting an increase in trade. Chris said: “I hope this will continue, and people will realise our prices aren’t that much different to supermarkets and we'd be grateful to keep these new customers." Meanwhile, a batch of beef mince that contained 1 per cent horse meat from supplier Welsh Bros Food was distributed to 49 schools and 10 Early Years Centres in December, B&NES Council has reported. The local authority was informed on February 27 and has withdrawn all Welsh Bros Food beef mince products from all schools, disposed of any beef mince products regardless of batch number and taken beef mince off the menus. Head teachers and centre managers have been informed.